$7.88 million, The Ridges in Summerlin Real Estate, 7,519 square feet, 5 bedrooms, 5.5 baths, home-automation system, stone accents, views of the Strip, golf course, mountains and valley. $1 million, Red Rock Country Club Real Estate, 3,455 square feet, 3 bedrooms, 3.5 baths, slab granite, gourmet kitchen, views of the 13th green, stone accents in and out. $1.45 million, Red Rock Country Club in Summerlin, 4,062 square feet, 3 bedrooms, 3.5 baths, single story former model with open floor plan, at views of lake, golf course and mountains. 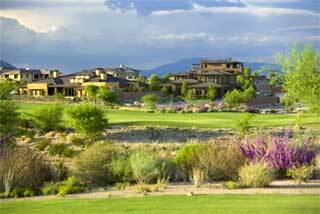 $10 million, Southern Highlands Luxury Home purchased by Gavin Maloof owner of the Palms Las Vegas. The luxury Las Vegas home has 13,489 square feet, 7 bedrooms, 8.5 baths, elevator, theater, wine cellar, 10-car garage, views of golf course, city and mountains. $1.75 million, Park Towers Las Vegas Condo, 3 bedrooms, 3.5 baths, mosaic entry, crown molding, travertine floors, two balconies, incredible views of the mountain and Strip. $1.85 million, Topaz Ridge in Summerlin Real Estate, 4,013 square feet, 4 bedrooms, 4.5 baths, single story Summerlin luxury home, courtyard with fireplace, four-car garage, views of the golf course and Strip. Call 702-505-6988 for VIP Las Vegas luxury homes seller or buyer representation by a Las Vegas real estate agent. Las Vegas luxury homes sales and luxury homes in Las Vegas July 24 - 30 2007.